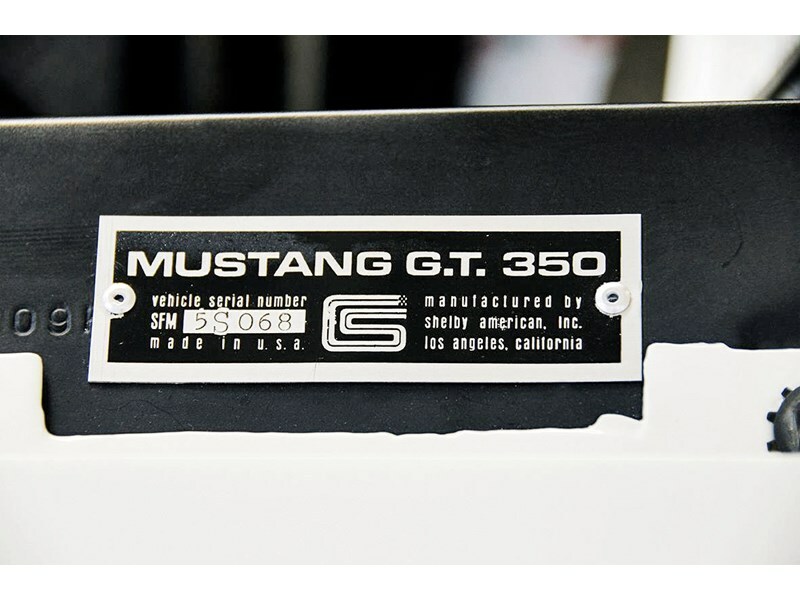 In 1965 the first Shelby GT350 Mustangs were produced and there were only 516 road going versions out of a total of 562 made in that year. 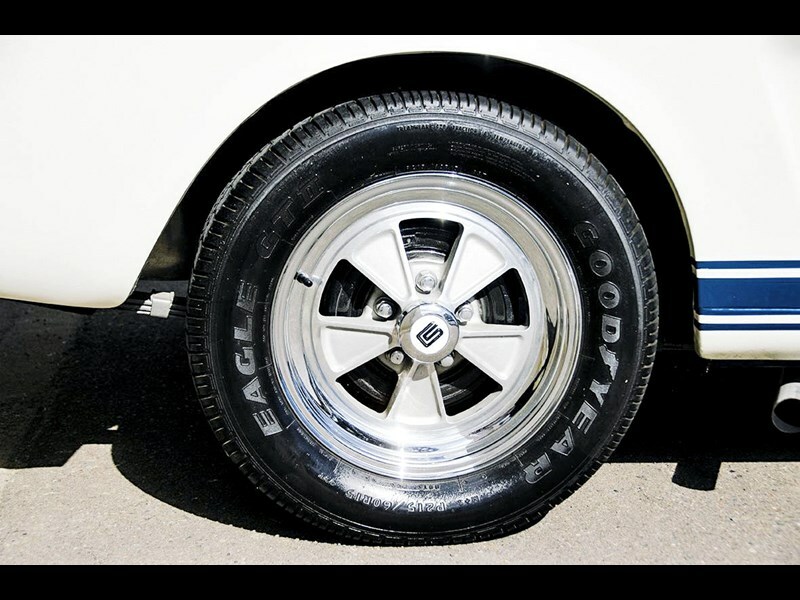 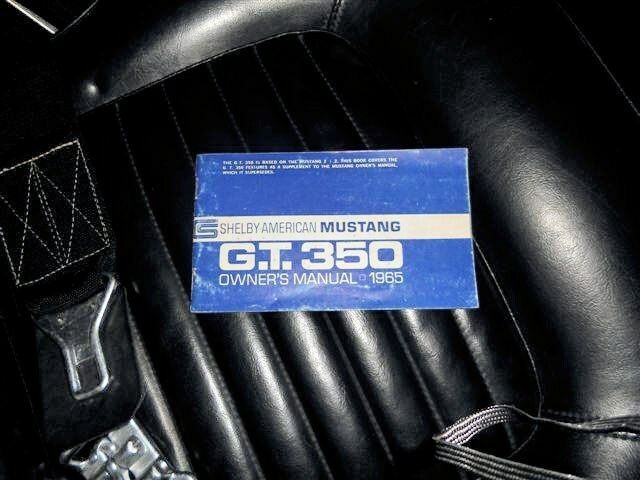 This is a highly valuable two digit [068) version that was hand made in Shelby's Venice Beach facility. 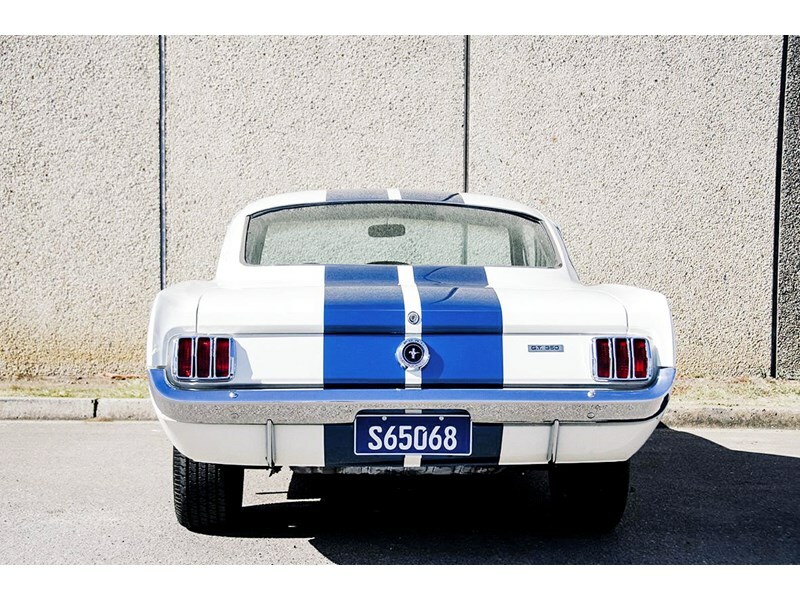 No.068 is a beautiful example that was imported into Australia in 2013 and has been treated to a complete nut and bolt rotisserie restoration to an excellent finish by Australian's best Shelby restorer. 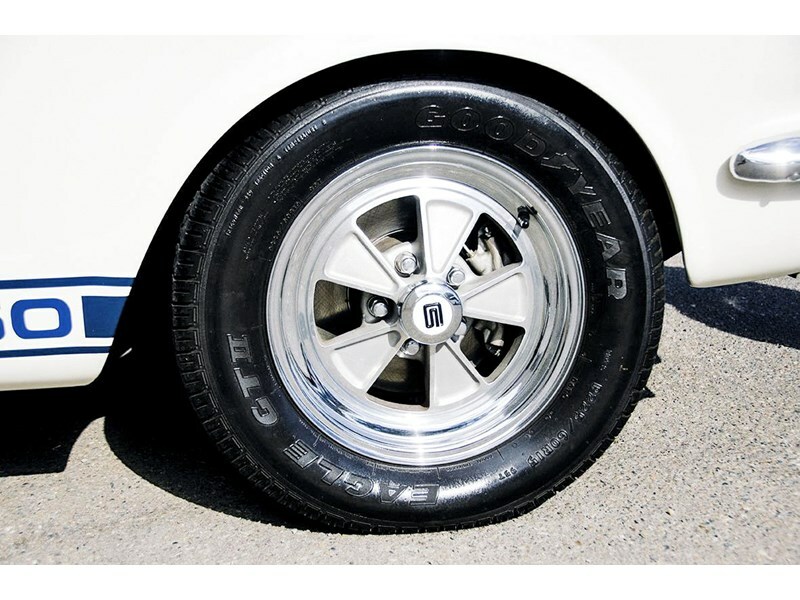 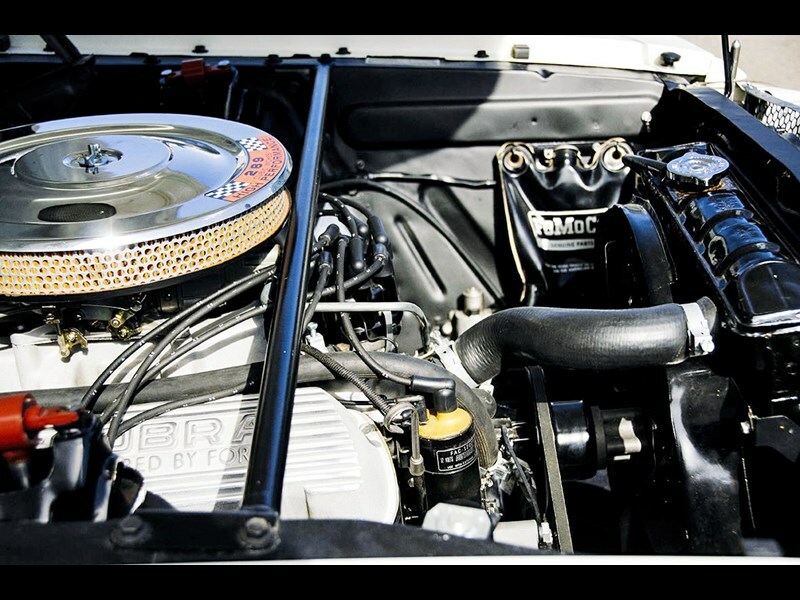 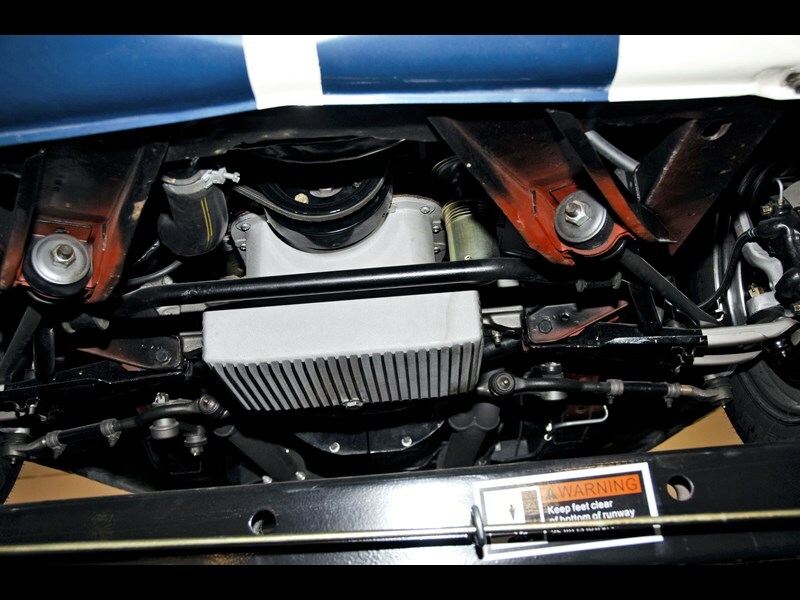 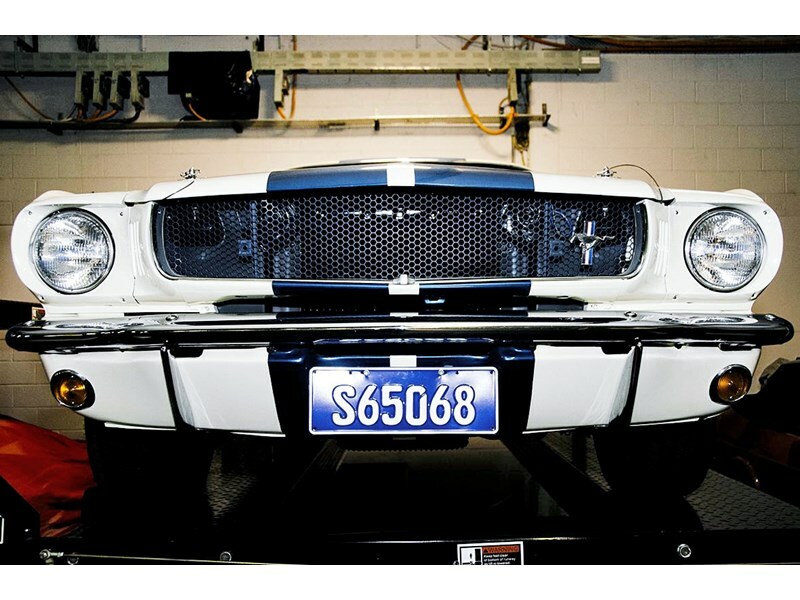 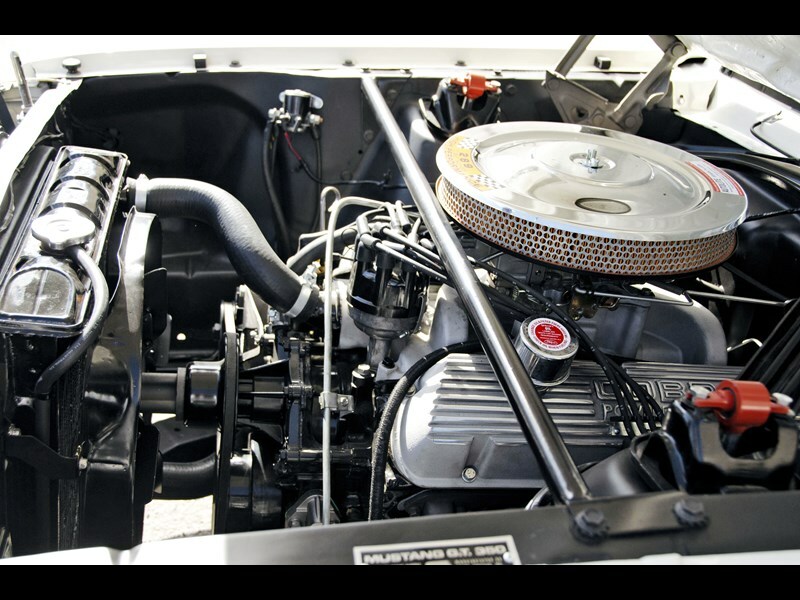 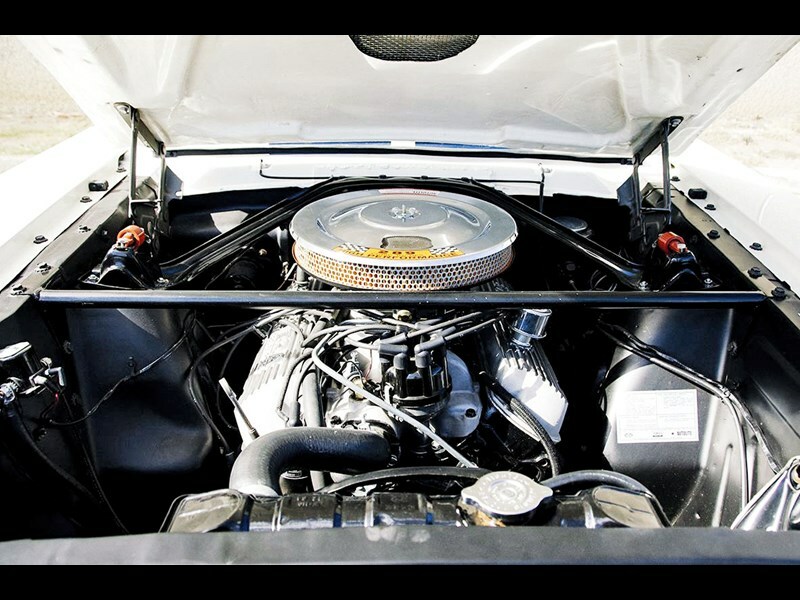 Since the restoration was completed the Shelby has not been driven except for regular servicing and mechanical testing. 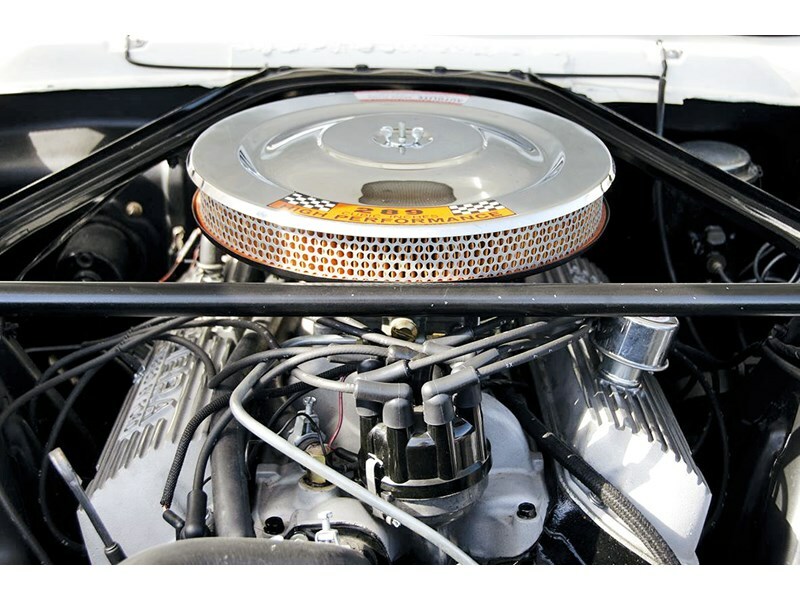 There are no stone chips and all the stainless strips have been meticulously polished and re-fitted. 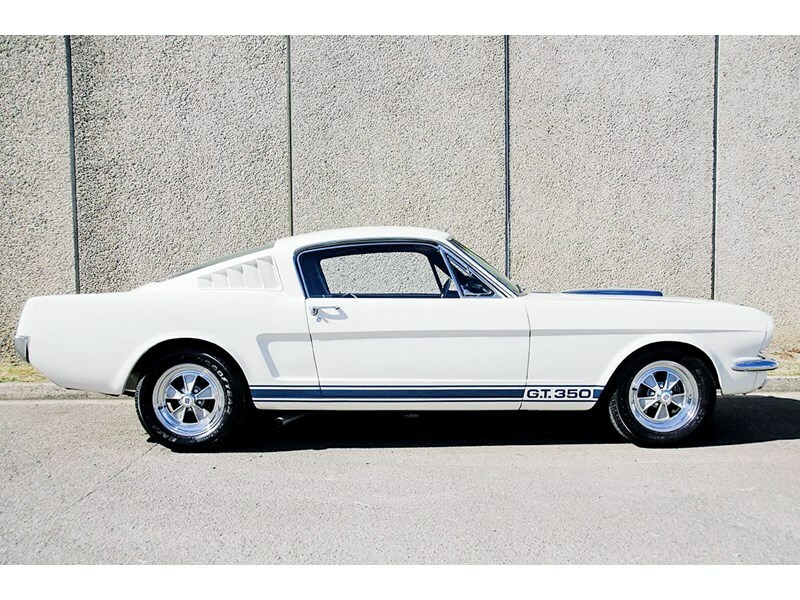 This Shelby has the original body, is powered by the original Hi-Po 289ci/306hp engine and a T-10 x 4 speed manual transmission. 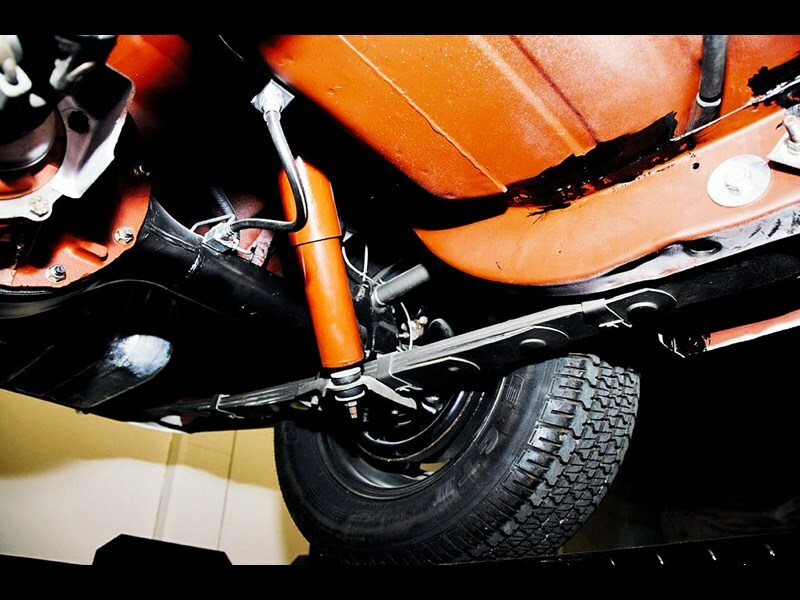 The overall look and sound of the factory side exiting exhausts just in front of the 6 x 15 Cragar wheels is unmistakable. 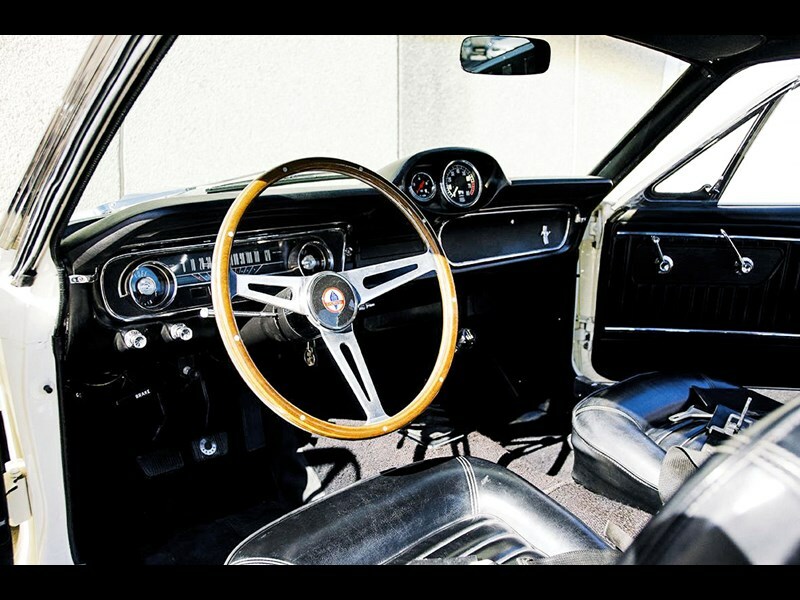 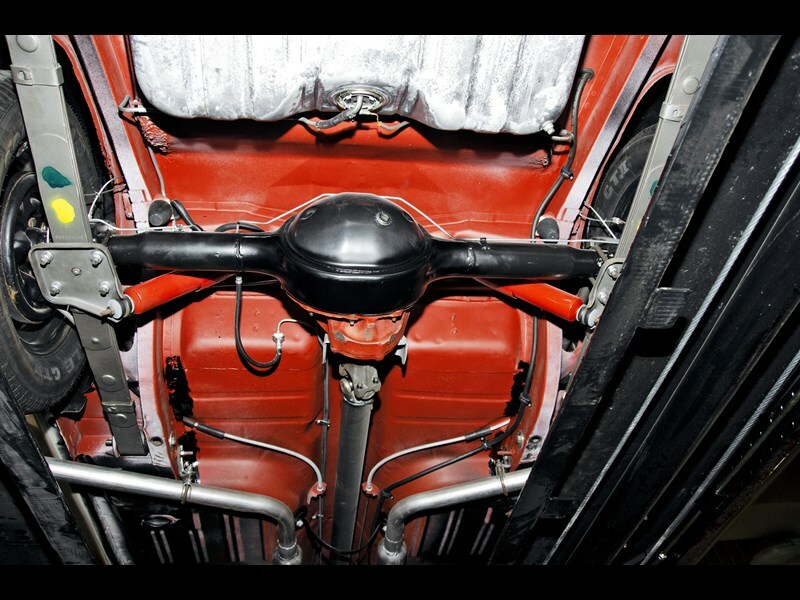 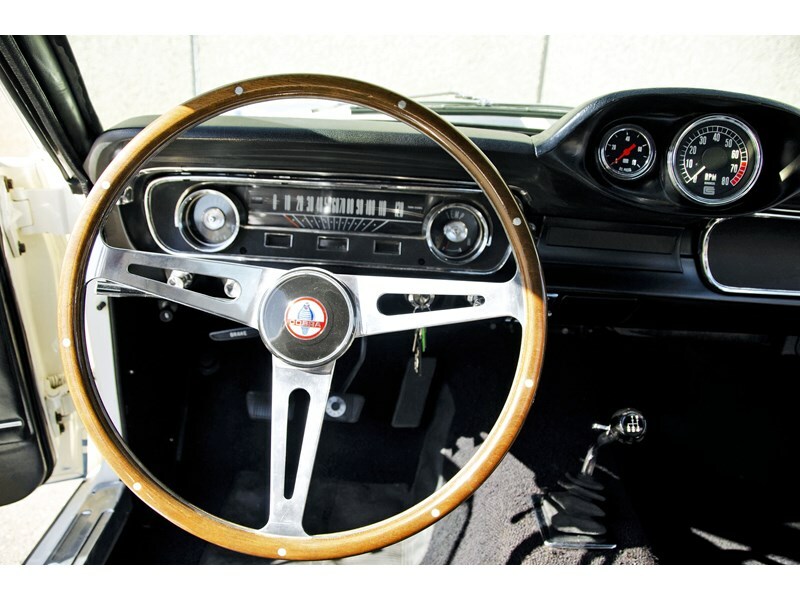 The interior is correct with dash mounted pod with 8,000 rpm tacho and oil pressure, factory racing lap belts, 16" wood rimmed steering wheel and factory radio delete plate. 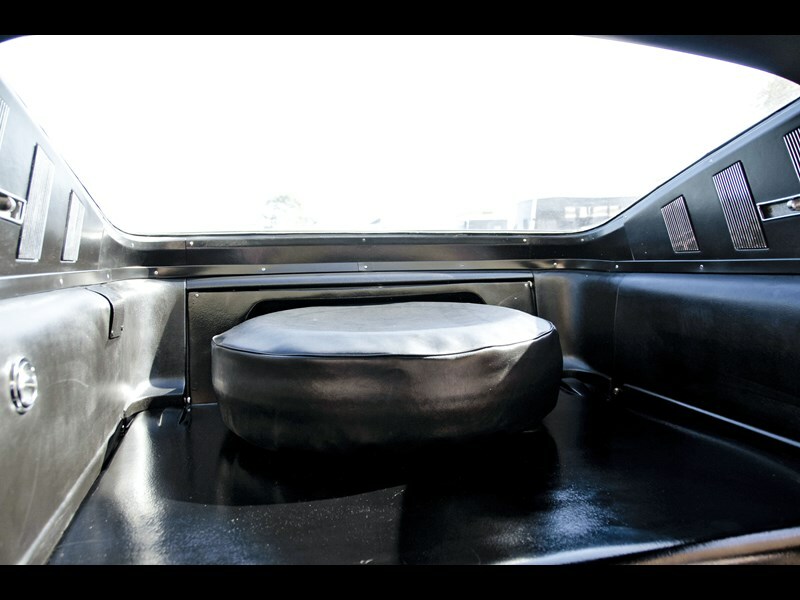 No.068 was also one of the few with the trunk mounted battery. 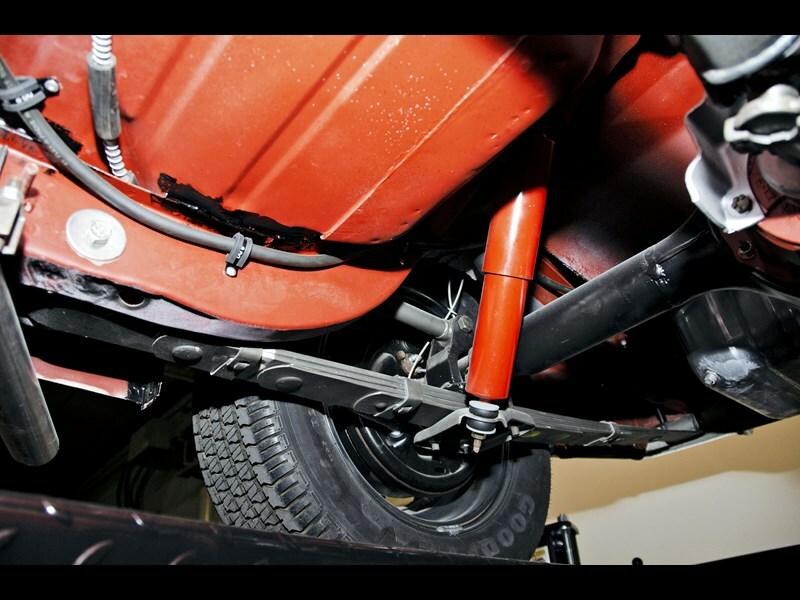 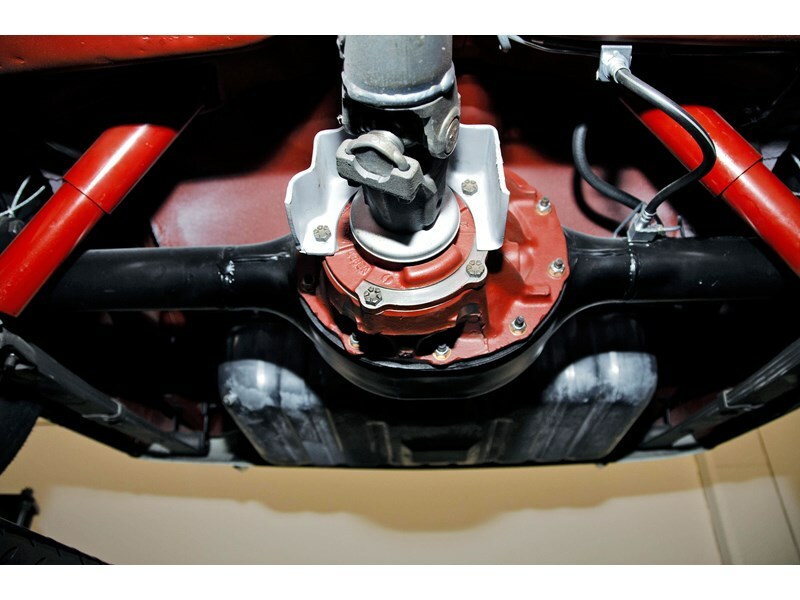 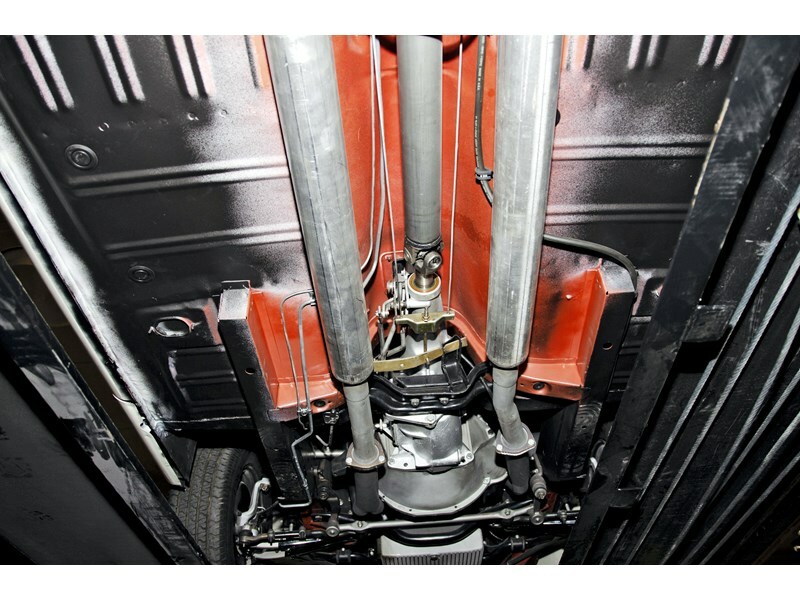 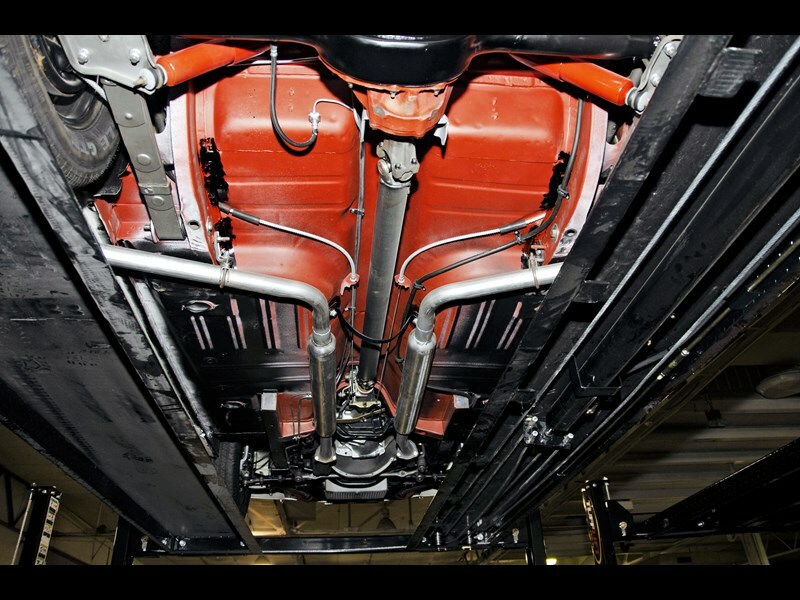 On a hoist you will discover the undercarriage to be in wonderfully restored condition with floors finished in the correct factory style red oxide primer with body color overspray and blacked out pinch welds. 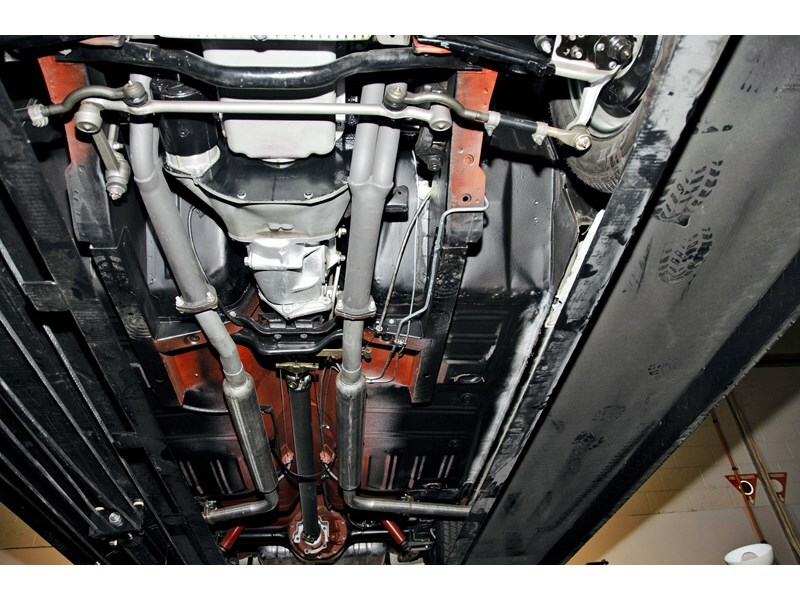 Also factory style paint dabs, markings and tags are present to complete this restoration. 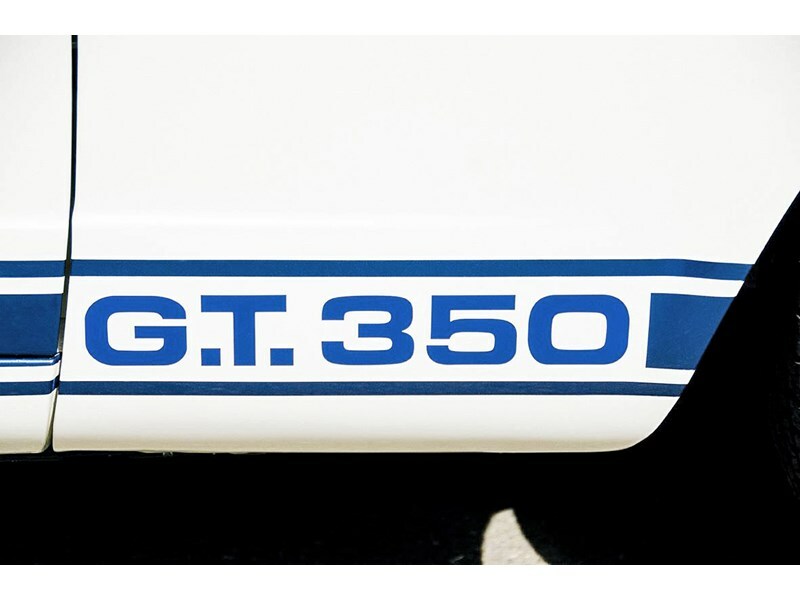 This Shelby GT350 is fully documented and has never been raced. 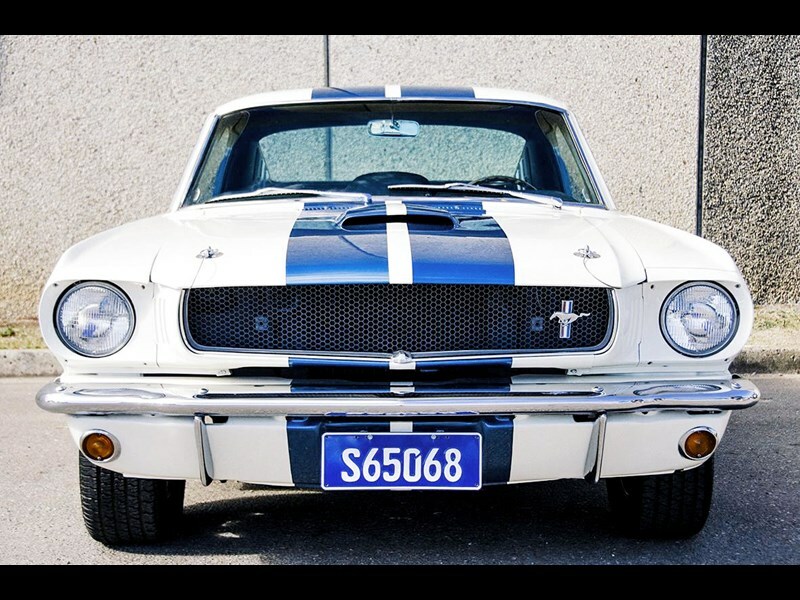 It comes complete with Shelby American invoice to selling dealer Paradise Ford in Scottsdale, Arizona along with 2 other Shelby GT350s, the Shelby American invoice for this specific car, credit memo from Shelby American to the selling dealer, various Shelby warranty invoices, confirmation from Shelby American Automobile Club [SAAC] Registry of the Ford Vin and a copy of the full ownership history as documented in the SAAC Registry on Page 83. 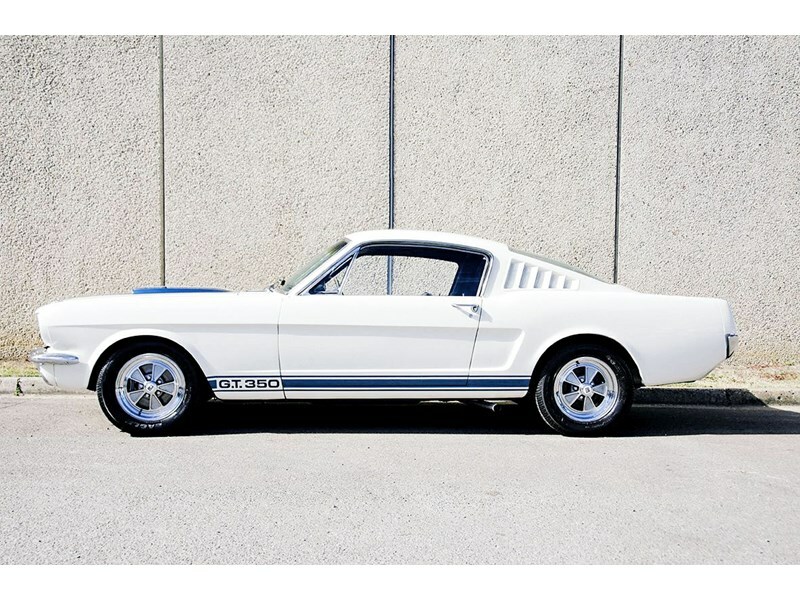 This is an outstanding example of one of the first true American muscle cars.